The Antique Dining Collection, by Sunset Beach, is designed with a rustic, old world charm. The weathered teak tables are solid and hand-painted in a gray finish fand are naturally impervious to the elements. 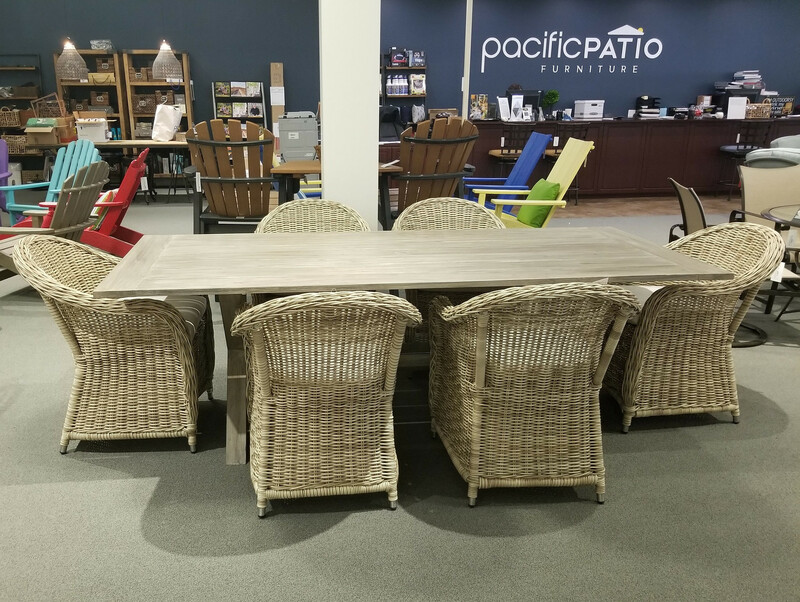 These tables can be flexibly matched with many types of dining chairs like the Antique Wicker Barrel Chair. Enjoy your evening outdoors with this unique beautiful outdoor dining collection.